This silky smooth cozy bedding set includes 2 pillow cases (Twin Size only includes 1 pillowcase), and 1 duvet cover. They are well made and the silk-like polyester is nice touch and feels good, which is very comfortable for sleeping. The single color bedding set are easy to match with other home textiles, which really looks great on the bed and brightens up your room nicely. Decent quality with reasonable price. Easy to insert and remove the inserts. Solid color silk-like polyester bedspread. 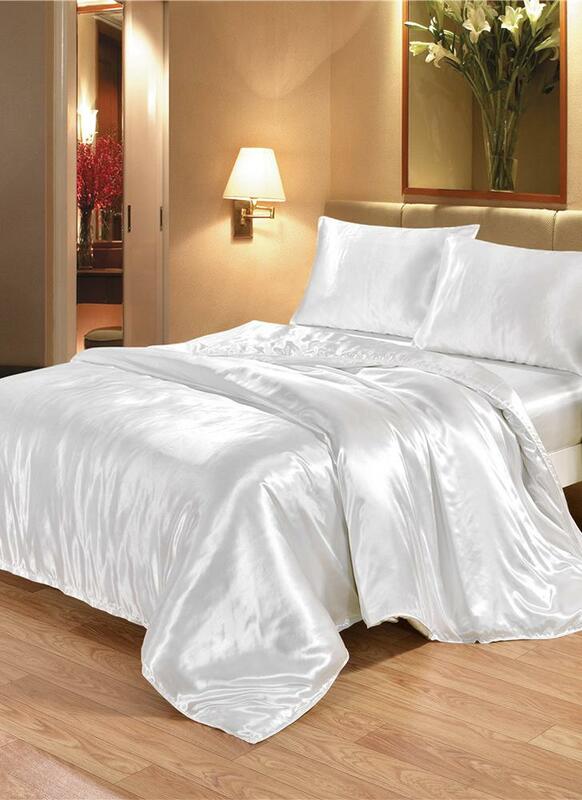 Silky, shiny, and soft, which is gorgeous for a romantically themed bedroom. Made of good quality and breathable material, snug and textured, very comfortable for using. Pillow cover only, pillow is not included. Duvet cover only, comforter is not included. Twin Size only includes 1 pillowcase. Please allows a slightly dimension variation due to manual measurement, thanks.